Mother's Day is right around the corner. Have you bought your mom a gift yet? Give your mother a special bouquet, taking into consideration the significance of each type of flower. Here are some of the best flowers for your mom on Mother's Day. Roses have long been associated with motherhood, making them a popular choice on Mother's Day. Roses were sacred to the Greek goddess Isis, seen as the ideal mother, and they also symbolize the Virgin Mary. Pink roses signify grace, elegance and appreciation, while yellow roses symbolize friendship and joy, so both colors are perfect to give your mom. Mother's Day flowers don't end with roses. Another elegant choice is the lilac. You may have heard that lilacs symbolize new love (which is why they are popular at weddings). However, they also signify love between mother and child, making these beautiful flowers a special choice on Mother's Day. The iris symbolizes affection and warmth, and some Christians associate the iris with the Virgin Mary. These gorgeous flowers come in a rainbow of colors, though white and blue irises tend to be more popular for Mother's Day. In China, orchids are a symbol for many children, and they also signify refinement and beauty. Every mother will love a bouquet of these exotic flowers for Mother's Day. According to Christian legend, pink carnations are believed to have first grown from the ground where the Virgin Mary shed tears over Jesus' death. Because of this, many believe carnations are a symbol of a mother's eternal love. Pink carnations, as well as red and white ones, often comprise Mother's Day bouquets. Tulips are traditionally associated with new life, charity and spring. With their grace and beauty, these flowers are always a popular option for Mother's Day. Though lilies are normally considered an Easter flower, they are often used on Mother's Day as well. Many florists add a few calla lilies or white lilies to mixed bouquets on Mother's Day. Symbolism shouldn't be the only factor when you're shopping for Mother's Day flowers. Also consider your mother's favorite color: Daffodils or sunflowers are pretty choices for moms who love yellow; blue hydrangeas, pink Gerbera daisies and red peonies are also colorful flowers that your Mom will love. Also take into account the month in which your mom was born and use this birth month guide to flowers to pick the right blooms. Bouquets aren't the end-all when it comes to Mother's Day flowers. Also shop for blooming plants such as azaleas and hyacinths for Mother's Day -- they're beautiful and easy to care for, and last longer than a traditional bouquet. 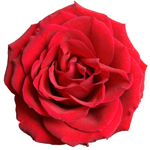 Consider outdoor plants and bushes that your mom can plant in her garden as well, such as miniature roses. Mini roses are often sold as houseplants but can be transplanted outdoors for the full sunlight and healthy humidity that they need.